Airstyle can be considered an ‘old school’ discipline by some, but Toby Braeuer will show you that it is a new generation type of old school. It’s not about just boosting big airs, it’s about doing it with style and exploring a new dimension of extreme kiteboarding. AIRSTYLE - Strictly Hooked DVD by Toby Braeuer will show you what it is all about. The DVD features amazing footage, including never seen before tricks such as the Barefoot Slide Backroll. The DVD is about to be released. Currently the DVD can be preordered for a special price. Once available, the price will go up. It will be available as Double DVD or Blu-ray for even better quality. You can preorder the DVD on airstyle.tv website. Airstyle is the discipline who gets the most "wows" on the beach, with its unique tricks. 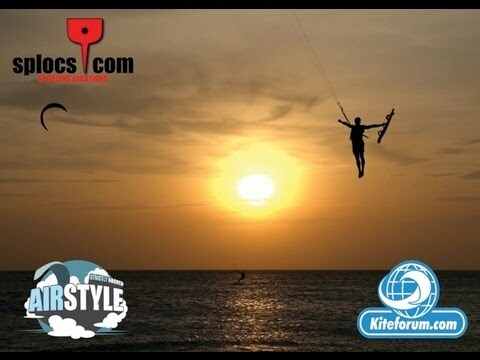 Many years this style has been forgotten, although the majority of kitesurfers around the world start the sport to enjoy the time in the air and do different tricks. The DVD brings inspiration for strictly hooked riding. If you are not convinced yet, just take a look at the AIRSTYLE - Strictly Hooked DVD in the related videos section below.